Forget reality and pretend you’re at Hogwarts! All you need is this journal. 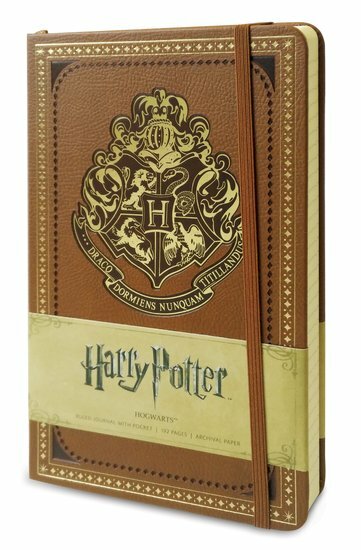 Which just happens to come with nifty coloured endpapers showing Harry Potter concept movie art. Write in your potions homework, your secret Slytherin crush or your dreams of TriWizard glory. Every Hogwarts student needs one! Worried the Sorting Hat messed up? Can’t stand your Charms teacher? No worries: tell your journal all about it. Or perhaps you’re a budding Dark Lord plotting to conquer the world? Hatch your wicked plot here. But don’t let Harry find it! Write in your very own Hogwarts adventures!